Visa Signature cardholders are now eligible to receive $15 off every Broadway.com transaction. If you have a Visa Card that simply says 'Visa Signature' across it, you could be one of the millions of Visa Signature cardholders and would receive $15 off every Broadway.com transaction, access to all Broadway shows, premium tickets, preferred service, and more! 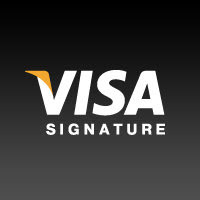 Learn about this and many more, Visa Signature perks by visiting www.visa.com/signature. You can also become a fan on Facebook.